Zhi Dian Media is the one of the largest mobile internet advertising company in China, company is a professional technology, operation, and product-driven communication organization, specialized in mobile advertising in past 12 years. Since 2003, the media group has always been committed to global media advertising, and continuously extends the range of business. Currently, company has three major businesses including mobile ad, ‘You Le ’ mobile game joint operation and ‘Yi Mi’ app offline promotion. The company is also actively dedicated to becoming the largest mobile internet advertising firm, mobile application O2O distribution platform, and thoughtful costumer service channe by building owned media and channels. Basically, mobile ad business consists of 3 major advertising platform, the best choice for ad one-stop mobile marketing is establishing mobile media marketing matrix, through the provision of APP media ad and WAP media ad service. ‘You Le’ means the media game joint operation platform which launched by Zhi Dian Media group, with many years industry experience and independent film and TV IP resources, the company announced that they get prepared to enter the mobile game market in 2014. At the meanwhile, ‘Yi Mi platform’ launched the supportive mobile app, game, and film&TV resource distributive smart router --- ‘enjoying wifi’, the product is designed to providing professional APP offline promotion plan for the extensive APP developers, leading APP into the new era called offline marketing. 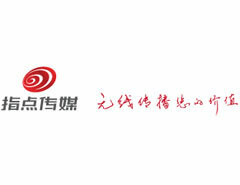 In 2014, Hunan TV& Broadcasting media group invested in Zhi Dian Media, the company entered the new era and maintained high-speed growth, the company always carry out the idea’ to establish the premier mobile advertising company’ as the strategic goal. Furthermore, the management philosophy of company is to be people-oriented, be responsible, be innovative, and be open-minded. The company always implements its core value system to purse further development.